I’m a writer of contemporary, realistic YA. 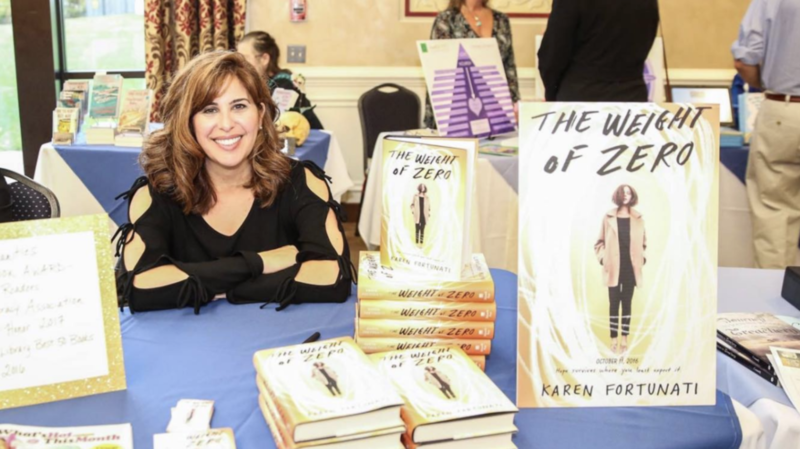 My first book, The Weight of Zero, is about a girl who has to deal not only with the standard pressures and stress of high school but also a much heavier weight – bipolar disorder. The story explores Catherine’s dark struggle to accept a diagnosis yet it is ultimately one of hope and resilience and finding support in the most unexpected places. My path to publication was indirect. I graduated from the University of Scranton with an accounting degree, received a law degree from Georgetown and practiced for ten years. The next ten years were spent on family, jobs, rescue dogs and a return to school for a master’s degree in American Studies from Trinity College. It was right after this period that I felt a growing need to write. I spent years working on my writing and in 2016, The Weight of Zero, was published. need to bust the stigma. The greatest joy for me about The Weight of Zero was how it opened the door to very honest dialogue about mental illness. of Directors for Bridges Healthcare, an organization that provides mental health treatment and addiction recovery services. Like Catherine, I never envisioned this particular direction but I’ve learned, with support, anything is possible.